Driving a motorcycle as a means of transportation in the field of work is normal in most cities, especially in those establishments that offers home delivery services. It is also the means of transportation in many countries, whether you are a worker or a student, you will always expect to see a motorcycle on the road. Being a driver of a motorcycle is not that easy because you have to consider many things. It might look so simple to simply jump on your motorcycles and drive on the road, but are you sure that you have the necessary things for your safety? If you are going to consider the safety precautions on the road, then it is good for you to be a driver. Even a passenger, must also know how to keep themselves safe on the road. If you are driving or riding a motorcycle, then you must be aware that you have to wear a motorcycle helmet. Is wearing a motorcycle helmet a requirement? Well, of course, yes! If you love your life, then learn to follow the safety regulations and laws on the road. One of the things that will keep you safe is to use a helmet with a good quality. When it comes to the best quality of a motorcycle helmet, you must learn to know not only one brand of helmet, but to at least know some of them. 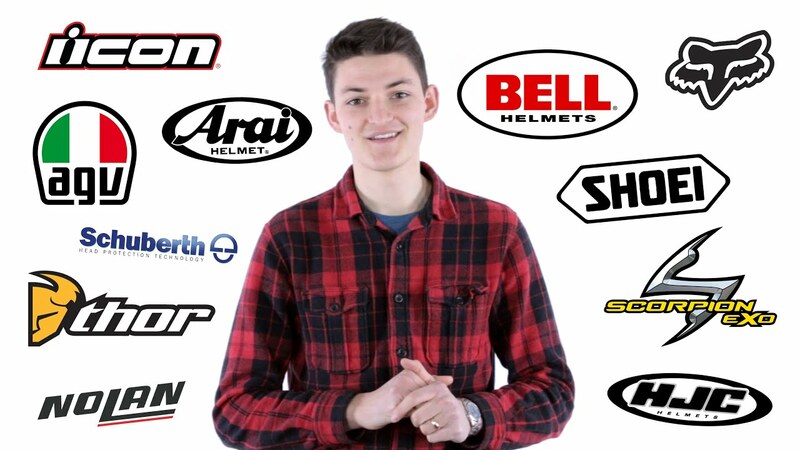 Is it a must for you to know several motorcycle helmet brands? Yes, for you to have an option on what motorcycle helmet you are going to buy for your use and safety on the road. HJC CL-17 Mission Full-Face Motorcycle Helmet is the best among the best brands because it has an advanced polycarbonate composite shell, it has an anti-scratch pinlock ready face shield, providing UV protection, it has a rapid fire shield replacement system and it has an ACS advanced channeling ventilation system with a supercool moisture-wicking interior. Shoei RF-1200 Helmet has a strong shell design compact and aerodynamic with four shell sizes, it has a dual density EPS liner and it has a good ventilation that includes breath guard and a chin curtain. Bell Solid Adult Qualifier Street Bike Racing Motorcycle Helmet is a 2014 model that is best for adults who are racing. Arai Vector-2 Helmet is an intermediate oval fit with a compound laminate construction of CLC shell, a brow vent face shield ventilation system and with a great peripheral view. Nolan N44 Trilogy Solid Helmet is an updated and the latest design of the N43E that is produced in 2 outer shell sizes that is composed of a polycarbonate GE Lexan, it has an advanced ventilation system, and it is a fully flexible helmet designed for urban riding with a unique style. Shark RAW Blank Helmet is a street fighter designed helmet with a quick release goggle system and face mask, with a double pane anti-fog lens that has a lightweight and an aerodynamic feature. AGV K3 Full Face Motorcycle Helmet has a thermoplastic shell that includes a visor mechanism, it has a removable nose protector with a comfortable padding and a good front, chin and side ventilation. Those mentioned are just some of the best motorcycle helmet brands that you must be thinking about buying for your own safety. Always remember that sometimes, it is not always the price that you have to consider, but what matters most is the quality of the motorcycle helmet that you are going to purchase because this is for your own safety and protection. So, it is something serious and something that you must not ignore.